Misunderstandings, untrustworthiness, unreliability etc. harming the organization’s reputation and its business relationships. Mistakes are far more numerous than hacks and malware infections but thankfully most are trivial or inconsequential, and many are spotted and corrected before any damage is done. However, serious incidents involving inaccurate or incomplete information do occur occasionally, reminding us (after the fact!) to be more careful about what we are doing. The NoticeBored awareness and training materials take a more proactive angle, encouraging workers to take more care with information especially when handling (providing, communicating, processing or using) particularly important business- or safety-critical information – when the information risks are greater. Fosters a corporate culture of error-intolerance through greater awareness, accountability and a focus on information quality and integrity. NoticeBored subscribers are encouraged to customize the content supplied, adapting both the look-and-feel (the logo, style, formatting etc.) to suit their awareness program’s branding, and the content to fit their information risk, security and business situations. Subscribers are free to incorporate additional content from other sources, or to cut-and-paste selections from the NoticeBored materials into staff newsletters, internal company magazines, management reports etc. making the best possible use of the awareness content supplied. 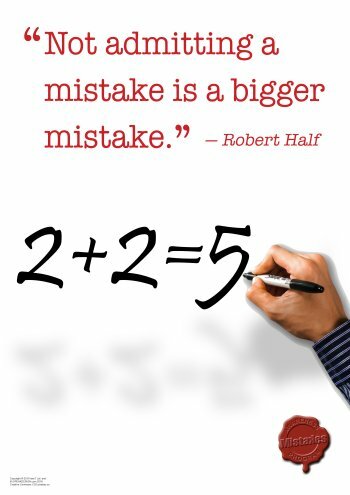 So what about your learning objectives in relation to mistakes, errors etc. Does your organization have persistent problems in this area? Is this an issue that deserves greater attention from staff and management, perhaps in one or more departments, sites/business units or teams? 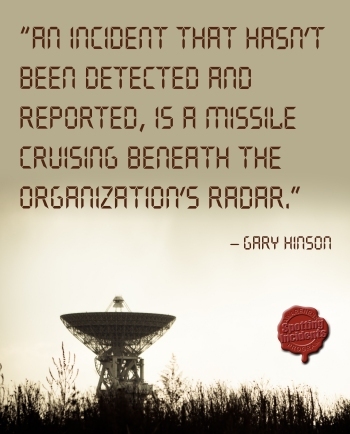 Have mistakes with information ever led to significant incidents? What have you actually done to address the risk? HINT: Don't be surprised if the same methods lead to the same results. "The successful man will profit from his mistakes ... and try again in a different way" [Dale Carnegie]. NoticeBored is different.